In a world where you can’t throw a goblin further than the next action RPG, Victor Vran was a real joy to play. The combination of its complex mechanics, the well defined characters with superb voice acting — mostly notable Doug Cockle, voice of Geralt from The Witcher — and the story is enough to draw any player in and keep them playing, without finding any tedium in the gameplay or narrative. Add into that all of the additional content jam-packed into the Overkill Edition of the three-year old RPG, and there is a substantial value for your dollar. In this day and age, action-RPGs are quite literally a dime a dozen. There are a plethora of titles available right now on every single system, leading the average gamer at a loss for what differentiates any one game in the genre from another, as on the surface many of them share numerous characteristics. 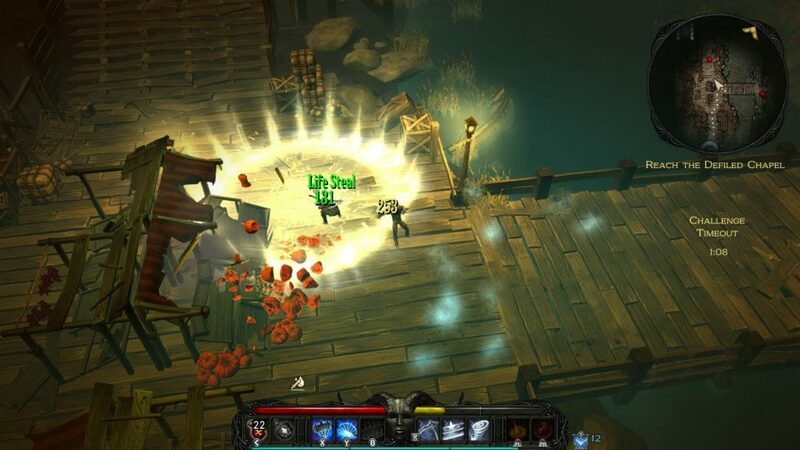 Luckily, the substantially packed Victor Vran has enough going for it to stand out and carve its own path amidst the sea of action-RPGs currently available. 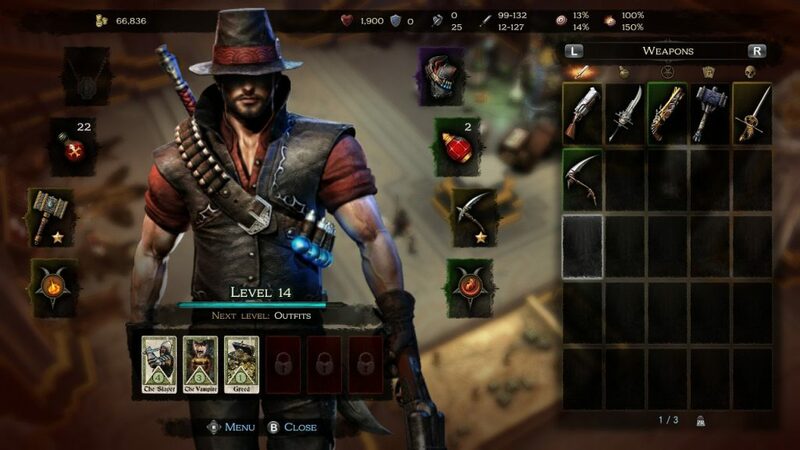 As an action-RPG, Victor Vran has most of the bells and whistles we’ve come to expect from the genre: mainly mowing down hordes and hordes of enemies, while collecting fat sacks of loot of varying qualities. You then use the loot you find to deck Victor out in all manner of offensive beauties, affording you new ways to mow down even more enemies. It’s a cycle to be sure, but one that drives you ever forward on Victor’s quest: to find his friend and purge the Kingdom of Zagoravia of its rather large monster problem. Early into the narrative Victor encounters a “Voice” in his head that continues to speak to him throughout the game. It typically acts as a sort of guide to the players in some areas of the game, but mostly it makes jokes and references to other games and pop culture. Much of the loose narrative is connected by the Voice, who begins to feature more prominently in the story as it progresses. Aside from the Voice, there are a lot of other references scattered throughout the game. One of my personal favorites was a room full of skeletons that did the Gangnam Style dance in one of the early areas. When you begin your journey, you’re a fresh-faced Hunter with little experience in the way of battle. But after a few stages and the quick game tutorials you feel like a pro in no time. The controls and most mechanics are quite easy to grasp, which makes picking up and playing this game a breeze. Victor can have two weapon types equipped at once, and you can swap between them at the press of a button. Each weapon type has particular skills attached to them, which is what you will be relying on for the majority of your damage output aside from your basic attacks. Skills of course have cooldowns, but you can use skills on one weapon, then swap to the other and use those skills too. This allows you to chain together some big damage combos if you time your skill usage correctly. In addition to your core weapons, you also have a variety of other supplemental items: an Outfit, Demon Powers, Consumables, and Destiny Cards. Your outfit more or less dictates your playstyle, as it changes how your Overdrive Meter fills up. When your Overdrive Meter is full, you can unleash a special Demon Power, which can definitely turns the tide of battle in your favor at a moment’ notice. These range from big flashy attacks, vampiric auras, and other effects that often turn the tide of battle. Consumables range from potions to bombs, and strategic use of both can turn any battle in your favor if you find yourself in a dire situation. I found that the firebombs were particularly useful for burning down tougher enemies and large groups, allowing me to focus on the bigger baddies. To assist your active playstyle, Destiny Cards confer passive benefits, but you can only have so many equipped at once. The number you can equip increases as Victor levels up, so be sure to fill those slots up when you open them up. As the game tells you on one of the loading screens: “A filled Destiny Card slot is better than an empty one”. With all of these different types of equipment, there are several different ways to build and play Victor. Do you like the in-your-face melee approach? Consider a sword, rapier, scythe, or hammer. Do you enjoy keeping things away and whittling enemies down from afar? Try out the shotgun or lightning gun. The Hammer/Scythe combo was a particularly fun and useful to play, dealing lots of heavy blows and area damage when needed. Your weapons also come with different modifiers; you might find some weapons that poison foes or leech their health and restore your own. These modifiers can be very important when formulating your playstyle. Another big mechanic to factor into this game are the Challenges. Each stage has a list of 5 different tasks that the player can take on as they play through it. Most of them range from ‘killing X amount of monsters’, ‘destroying x amount of pots in the crypt’, and other similar numerically oriented goals. But others provide an even greater challenge by requiring specific modifiers to be active to take them on. These modifiers are called Hexes, and they give monsters in the stage a substantial buff, making them more difficult to defeat. In return, Victor is rewarded with a boost to experience points gained and a boost to the quality of items he finds. These challenges will give any casual gamer or RPG completionist alike plenty of content to delve into outside of the core campaign. There are 5 Hexes in total, and they can all be toggled on at once, which means that the boosts AND rewards all stack on top of one another. Completing challenges rewards Victor with gold, experience, and even special items. Completing every challenge on each stage can be quite daunting, especially in the later stages where they have conditions such as ‘defeat X number of X monster with X weapon only in under 120 seconds’. When you’re not adventuring, you can return Victor to the Hub area. Here you can stash away any items you don’t want to carry around for later, sell loot, and buy new items/weapons from the various vendors and NPCs. Sometimes they’ll offer you a quest, or progress the main story when spoken to. That being said, the story is told through gorgeous still-art with full voice acting interspersed here and there throughout the game, and they do a great job conveying the situation at any given time in the plot. The only downside is that NPCs interactions themselves are limited to a portrait with voice acting, no animation, and only a text box that the voice actor reads aloud. It sort of feels like this could have been implemented more substantially, but it wasn’t that impactful to the overall feel and enjoyment of the game. Some of the voice actors also feel less fleshed out compared to Victor’s exceptional acting. You won’t be spending the majority of your time playing in the Hub talking to NPCs though; you’ll be out completing those challenges and collecting loot to buff Victor up. The Overkill Edition of Victor Vran adds a number of things to the game, most notably two new campaigns to complete. The first one being Motorhead – Through The Ages. 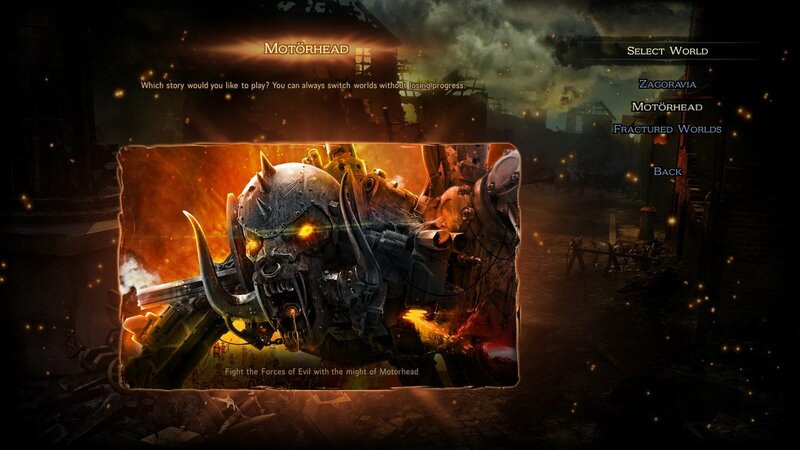 This campaign features three worlds based on the band Motorhead that all feature their music, new weapons, new outfits, new bosses, and more. The other campaign, Fractured Worlds, is a sort of daily dungeon that changes everyday, along with an endless dungeon called the Fracture. Fractured Worlds increases the level cap, and adds a new item type called Talismans, whichchange Victor’s appearance and abilities. A new Destiny Card slot is also unlocked via the level cap increase. 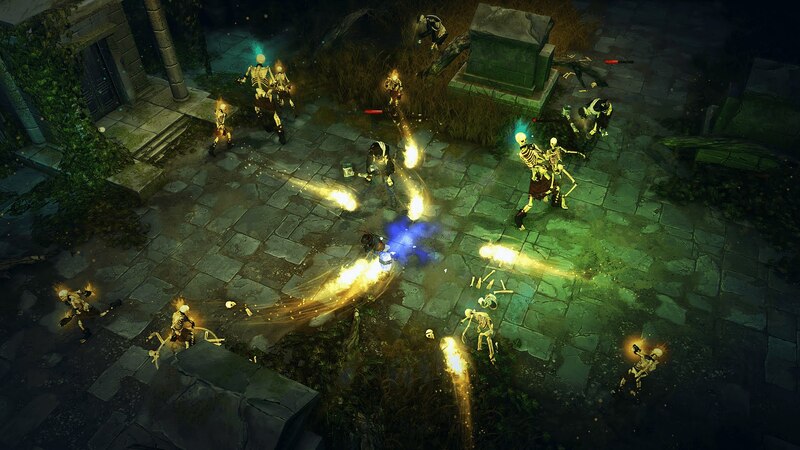 So, is Victor Vran worth wading into, with the wealth of action RPGs available? Absolutely. 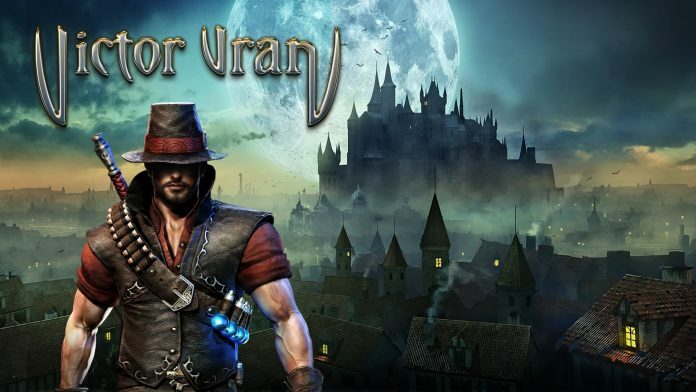 Considering its price-point, the well-defined gameplay, the amount of content packed into it, and the entertaining narrative, Victor Vran is definitely a title you’ll want to add to your collection. It’s available for nearly all console platforms, so there’s almost no way to not get your hands on it. 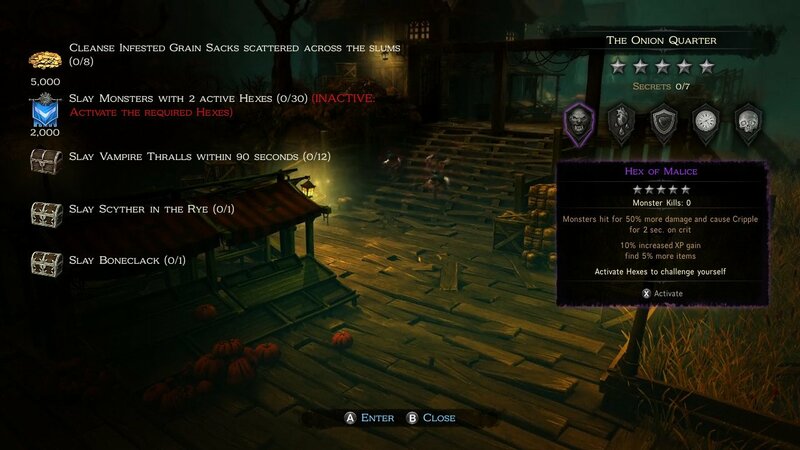 With the main campaign and the 2 added expansion campaigns, there is plenty to explore and do in Victor Vran: Overkill Edition. Overall it is a fun kill n’ loot experience, packed to the brim with monsters to thwart and items to collect. It’s well worth the price of admission, and is sure to keep you busy for a while, especially if you’re a completionist looking to line your shelves with the most exclusive gear. It’s a comprehensive and entertaining addition to the somewhat stale action RPG genre, and an enjoyable time from beginning to end. An action RPG with plenty of content to fight your way through, Victor Vran is a great addition to the ever-expanding genre.